Average 3.6/5 out of 5 total votes. Thousands of years ago, the War of Three Sisters nearly tore the frigid wilds of the Freljord apart. Today, the tribes descended from the three sisters -- the Winter's Claw, the Avarosan, and the Frostguard -- still fight for power and survival. 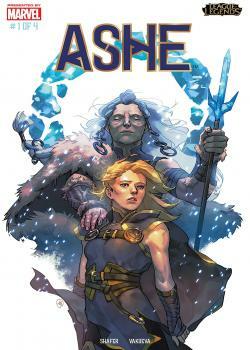 Ashe, daughter of the Avarosan warmother, trains to someday lead her people. Food is scarce in the Freljord. Warmth, even more so.